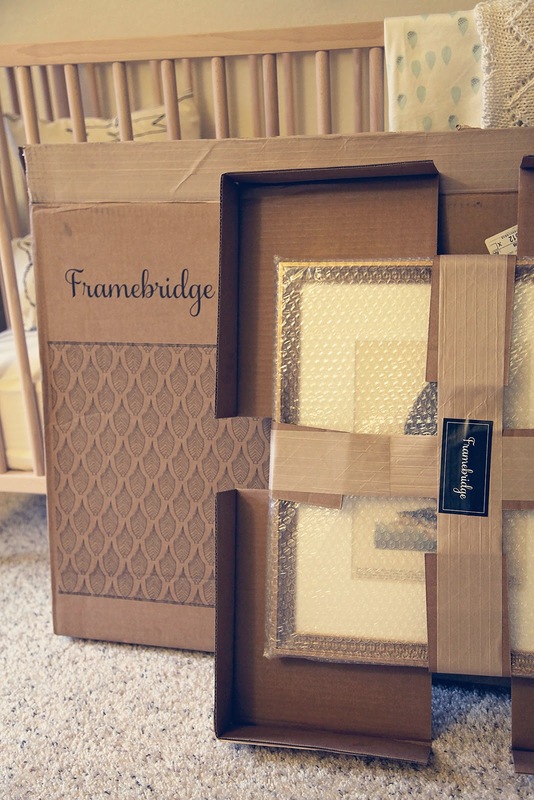 Have you guys heard about the new online custom framing company, Framebridge? 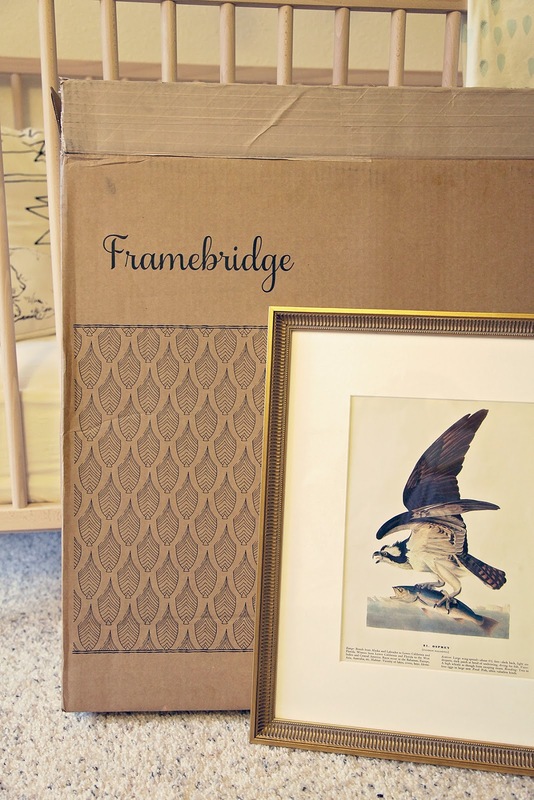 They offer quick, easy, affordable, and professional custom framing right from home! I previously posted on how awesome their materials are, you can read about that here. 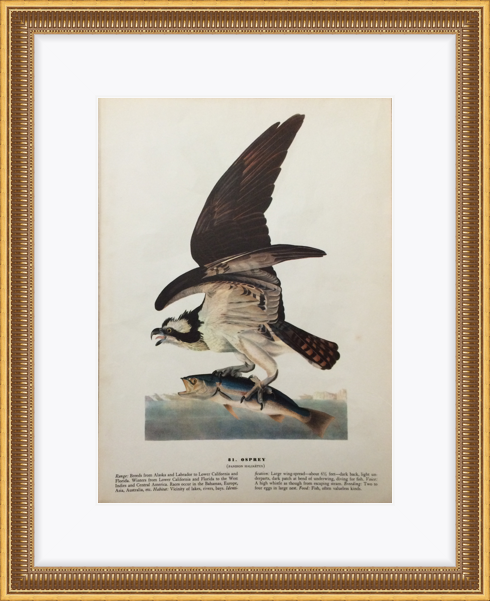 Today I am revealing my project: custom framing an Original Book Plate of an Osprey with Framebridge!! 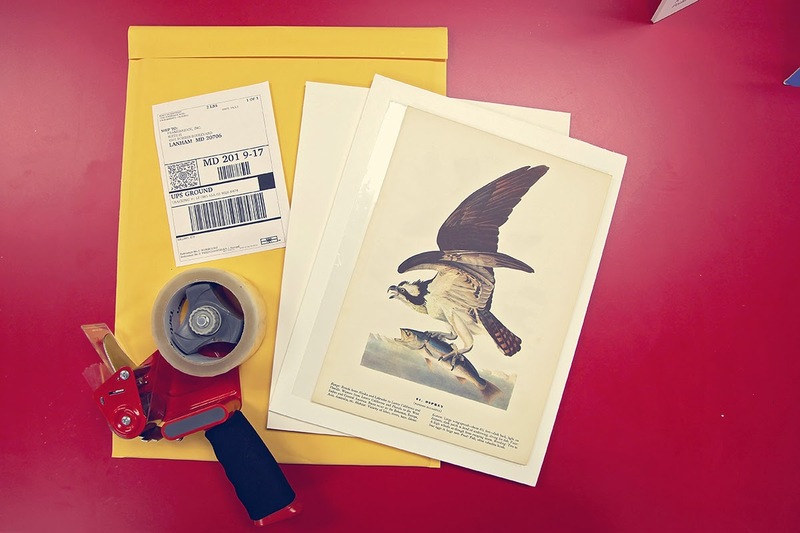 If you've been wondering how it all works, read on: I'm going to go through all the steps to show you just how fun and easy online custom framing can be! 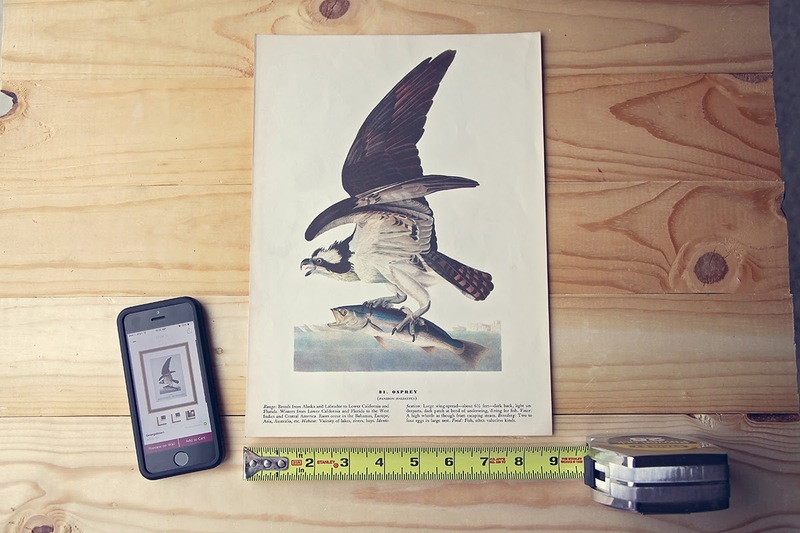 All you need to get started is your art piece, a measuring tape, and a smartphone. 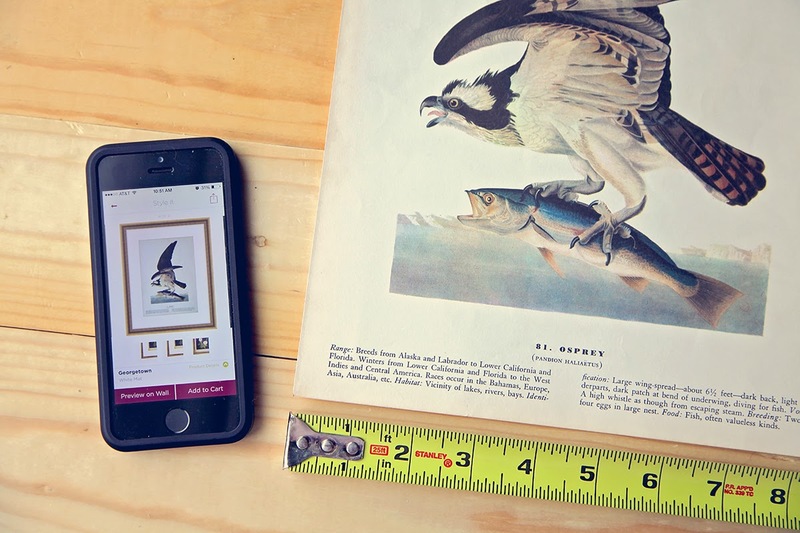 Just add the Framebridge App to your smartphone and follow the simple directions: photograph your artwork, set the width measurement, and choose a frame! 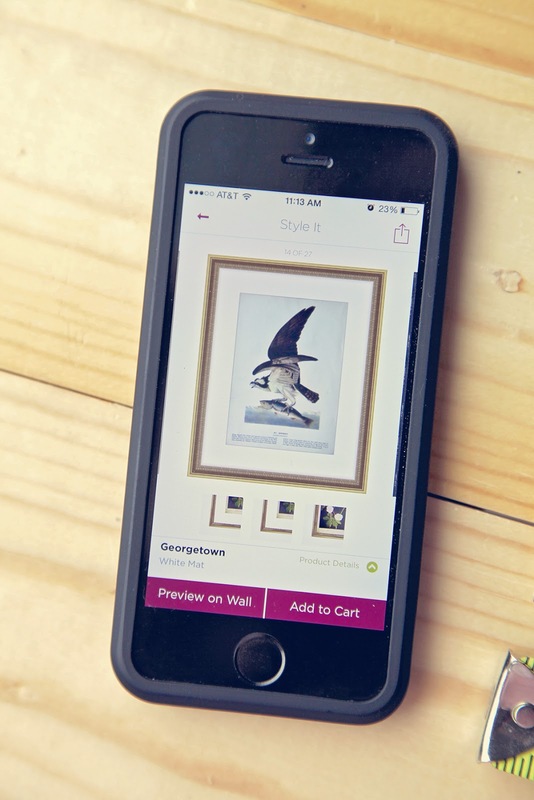 They frame your piece in all of their frame styles so you can see how your art looks in each one. 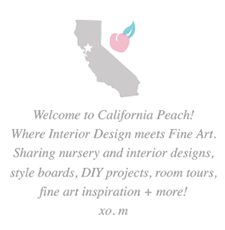 The selections they offer are both classic and contemporary, perfect for any interior design project! Not sure what to choose? 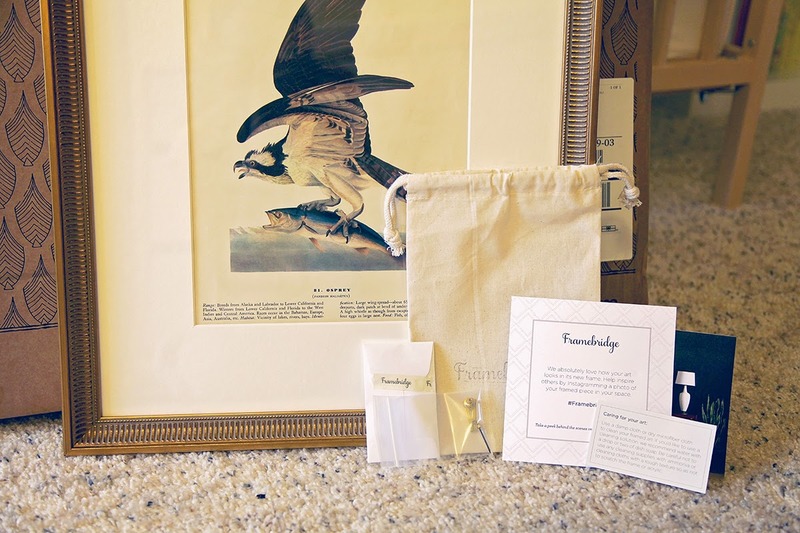 They offer a "Designer's Choice" option for those with less experience or little background in framing design, where a designer will choose the three best options and send them to you for approval! Or to give you a little direction, try using the "Cheat Sheet:" it includes examples of different types of art and what frames go best with each one. 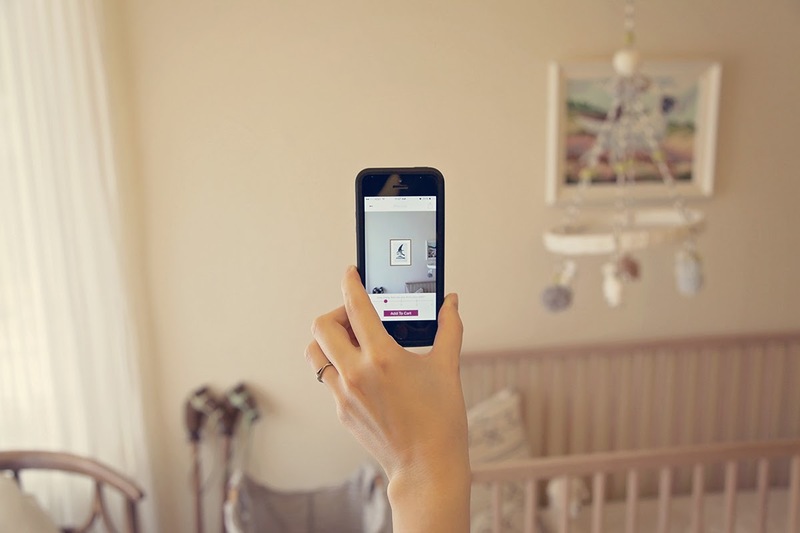 My favorite part of the design process was using the "Preview on Wall" feature to see how the finished piece will look in the room. 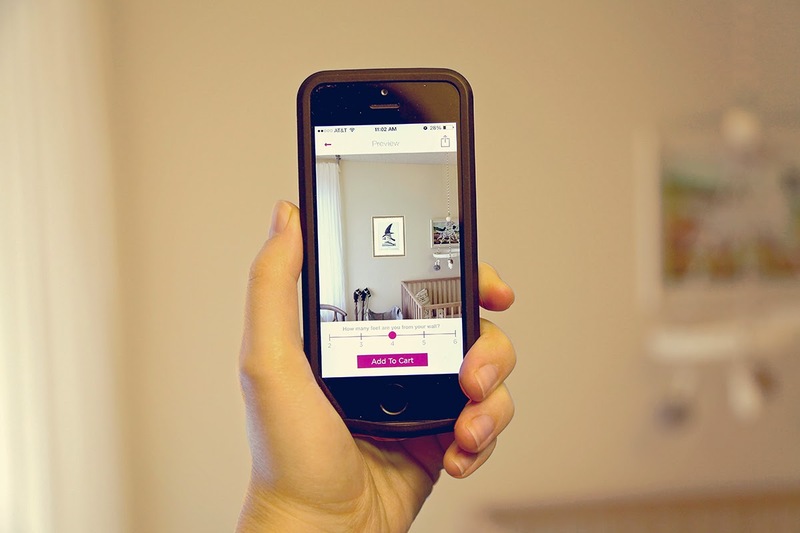 It projects your project right on the wall, showing exactly how it will look! 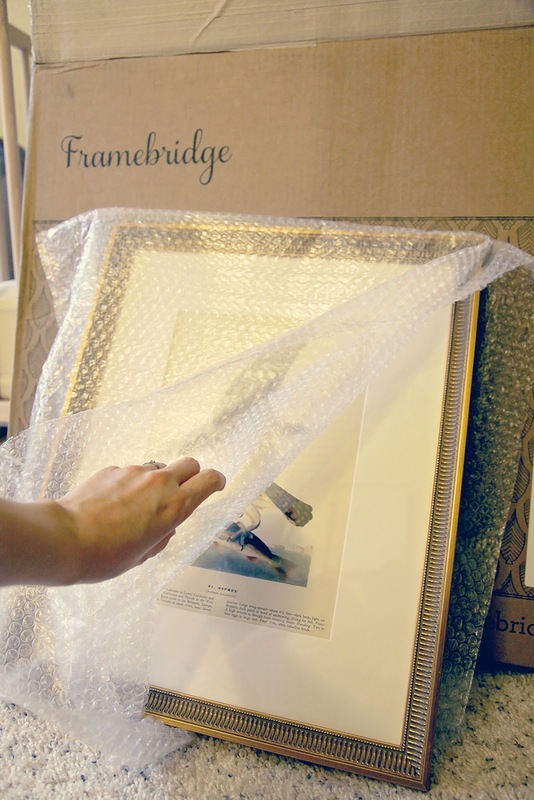 Once you have ordered your frame and mat, you can select to package the item in your own secure packaging, or have Framebridge send you a mailer tube or a flat mailer box designed just for shipping art. 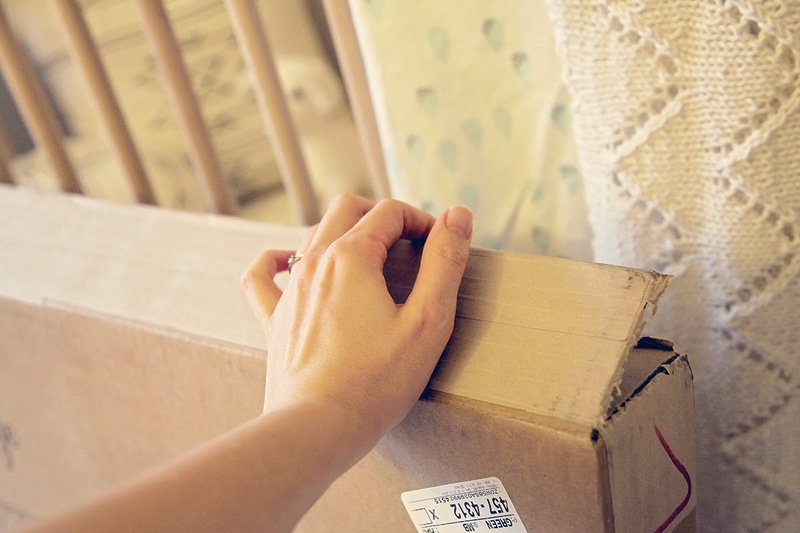 I wanted to speed up the process, so I choose to ship the item in my own packaging. I used a sleeve around the artwork and taped the sleeve in the middle of a larger foam core piece (so it wouldn't slide around) then sandwiched it between the foam core, taped the foam core together, and slid it into a bubble mailer. I made sure to write FRAGILE DO NOT BEND on the front an back of the parcel. 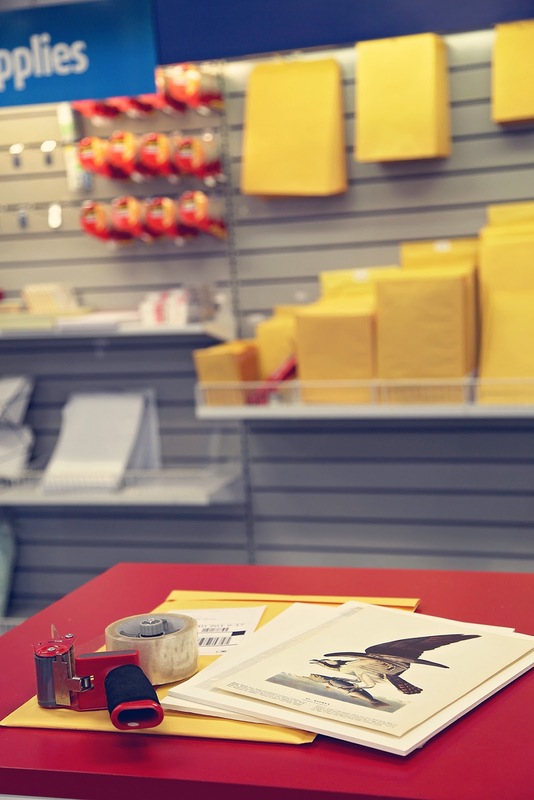 Drop the package off at a UPS facility near you and once that's done, all you have to do is sit back, relax and wait for Frambridge to do all the hard work! Can't wait to see how it turns out! 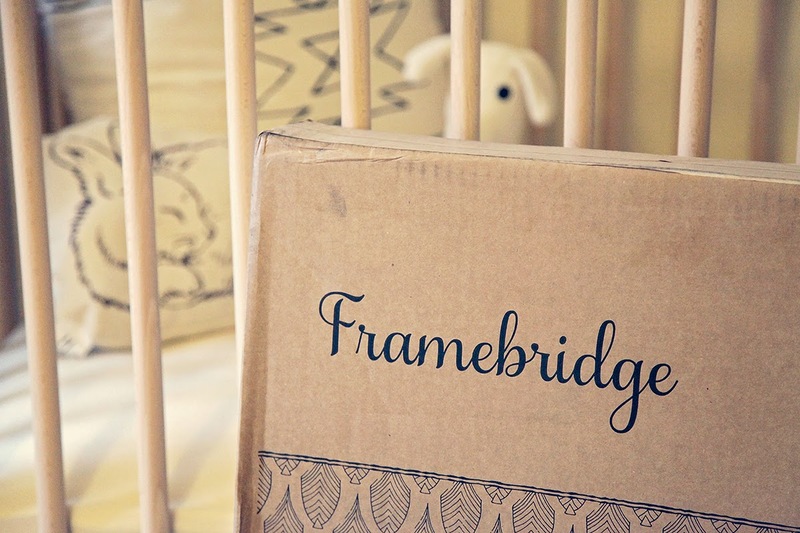 I was so excited when the package from Framebridge showed up on my doorstep!!! 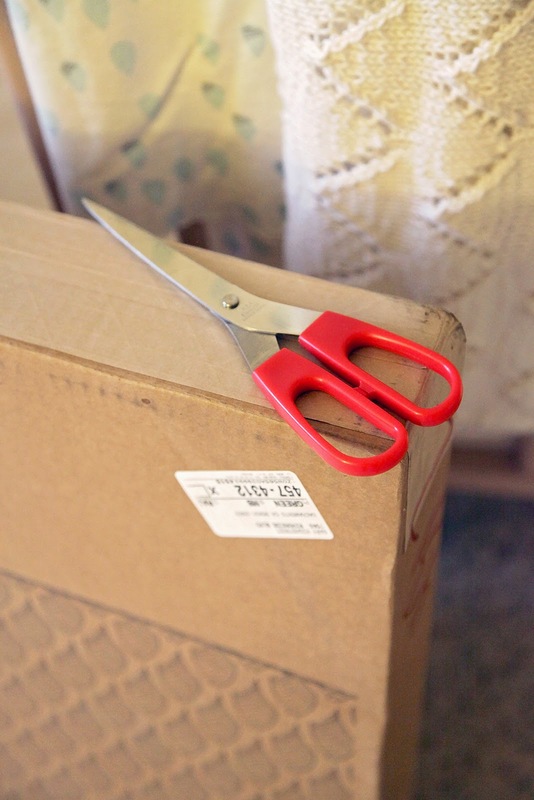 Time to get the scissors and see how my project turned out! WOW! Look how secure the piece is inside the box! I was very impressed with the package design and so was my Mechanical Engineer husband. Nothing is going to happen to this piece! I was, of course, very careful when taking it out: cutting the tape and removing the bubble wrap...almost there... it's so exciting! It's gorgeous!!!! It looks just like the preview on the Framebridge App! I am more than happy with the final result! Take a look at how good the Acrylic looks too! Some of you might be nervous to try Acrylic, but it's nothing to shy away from. 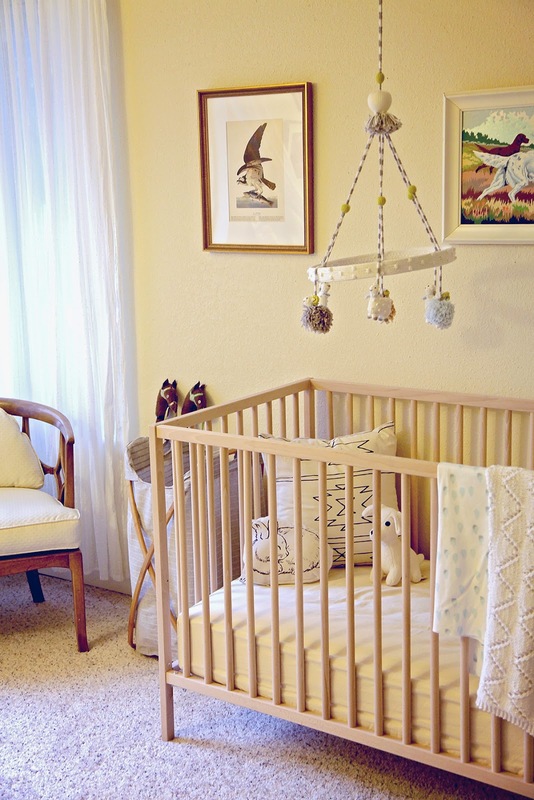 Framebridge uses an archive safe UV blocking Acrylic, a lighter and safer (shatter-resistant) option to glass (doesn't that sound perfect baby rooms?!). 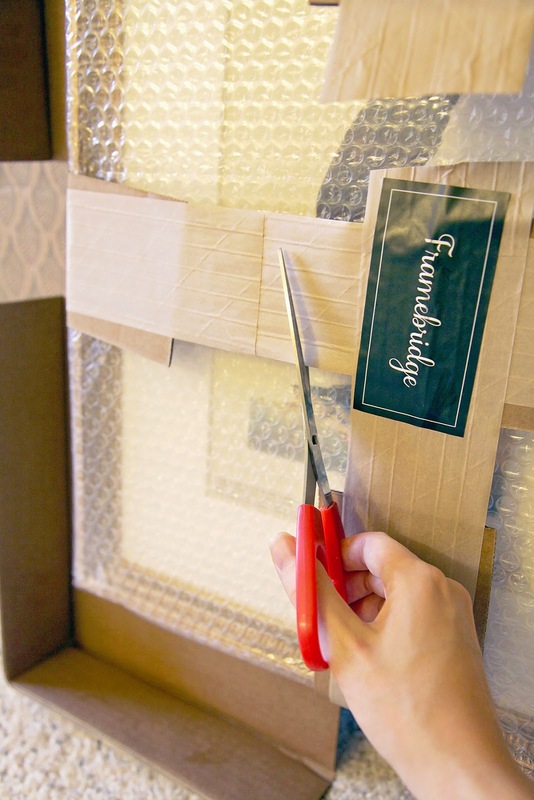 Many Fine Art Museums choose acrylic over glass for those same reasons, not to mention it's perfect for large pieces and artwork that gets moved frequently. I have always wanted to try Acrylic, and was so excited to try it here; and let me tell you, it looks great!! It's crystal clrear and you can't even tell the difference between the acrylic and other pieces I have framed with glass. How good does this Book Plate look in their Georgetown frame?! 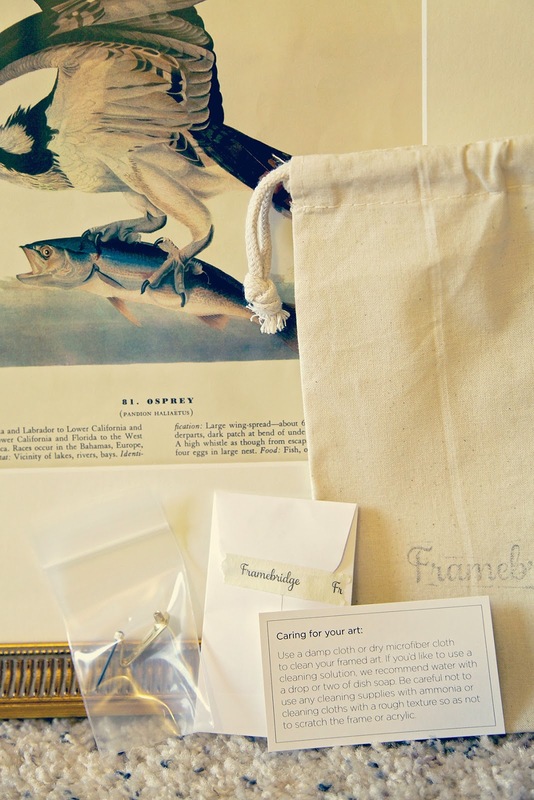 To top it off, Framebridge sent along a Care Package which included a nail and hook, a card describing "Caring For Your Art," as well as some fun extras! 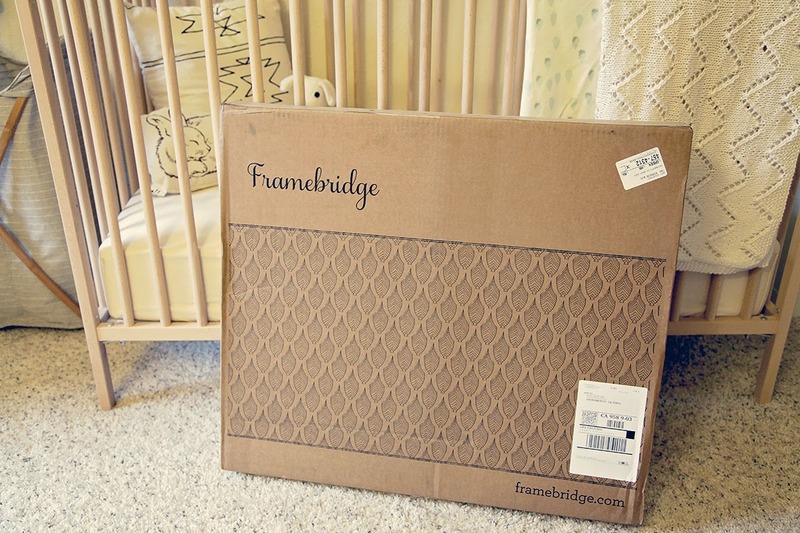 Framebridge went above and beyond and took care of it all! 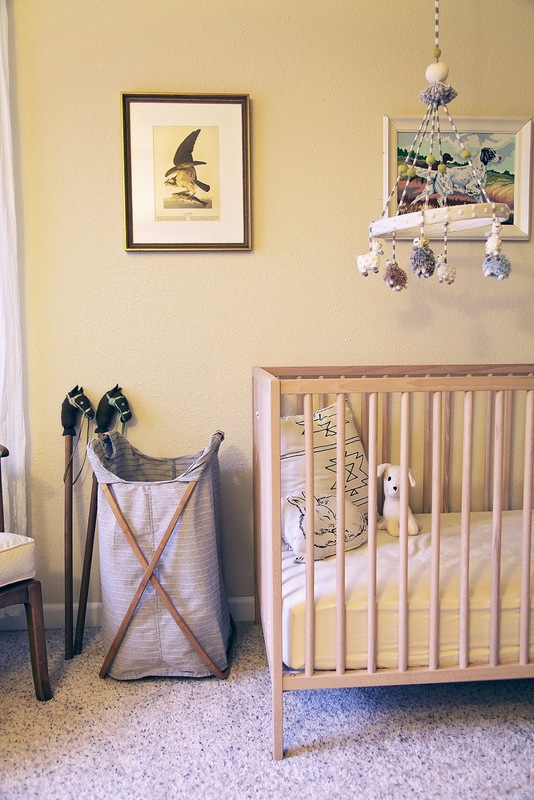 I was so excited to hang this piece in my Son's baby room! I love how it turned out, just stunning!! 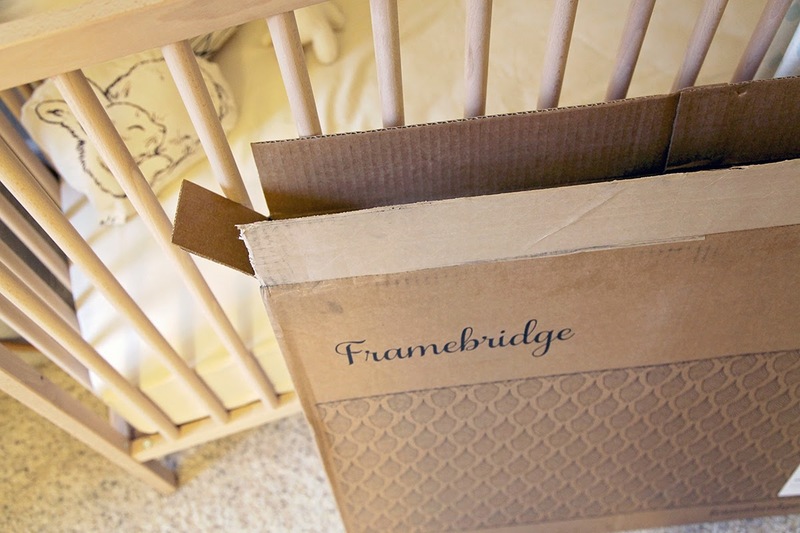 Hope you enjoyed this "How To" Custom Frame Online with Framebridge.com, be sure to check out their Website and App. Try something of yours out - it really is too much fun!